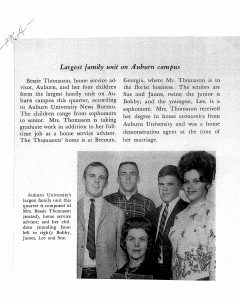 Mrs. Bessie Thomason was born in 1918, and graduated from Auburn in 1937 in Home Economics. At the time of her graduation she was just 19 years of age. She began her career as a school teacher in Seale, Alabama before joining Auburn for a long career as a Home Demonstration Agent. As a student, Thomason received the Danforth Fellowship, which earned her a trip to New York City. According to her son James, “this was a real thrill for a girl from Lee County, Alabama!” Her husband ran a floral business in Bremen, Georgia during Mrs. Thomason’s Auburn career. 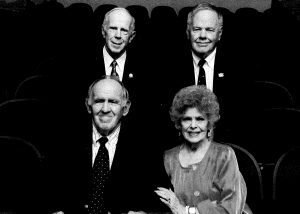 The family was close to legendary Auburn supporter Roy B. Sewell, whose manufacturing operation was headquartered in Bremen. Both James and Sue, twins, graduated from the College of Education. James had a 42-year career as a mathematics teacher and football coach. Twin sister Sue taught English in the LaGrange, Georgia system for 29 years. All four of the children, along with their mother, were inducted into Auburn’s Golden Eagle Society. The four children reunited at the 2017 Golden Eagles reunion and sat for a portrait. 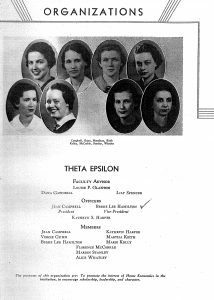 During her student years at Auburn, Thomason was a leader in the Home Economics Honor Society, Theta Epsilon. 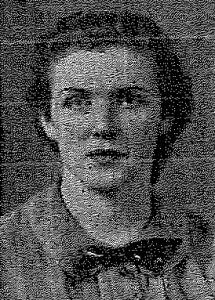 Mrs. Thomason was also an athlete, becoming one of the first women at Auburn to win a varsity letter (hers was in tennis). She wrote a booklet of her family’s history, which is intertwined with the history of Auburn itself, as one of her uncles was mayor of Auburn in the 1930s. That book is in the Auburn University Archives, as well as Hargett Rare Books and Manuscripts Library at the University of Georgia.